This article was originally published on Climate Reality Project. 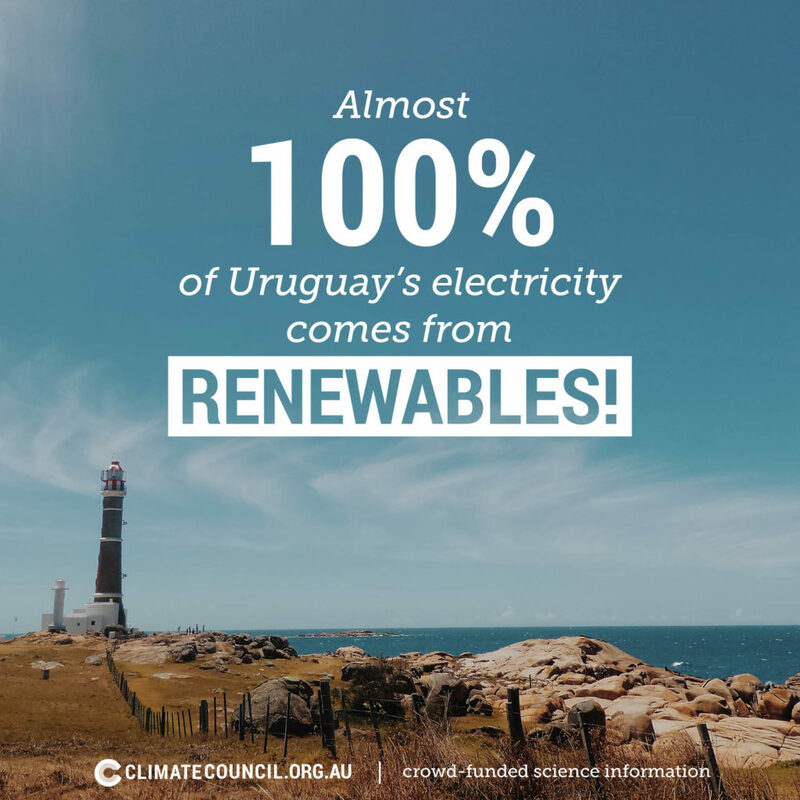 Countries all around the world are powering towards a low-carbon future by embracing solar, wind and geothermal energy. Read on to find out which countries are leading the charge. In 2015, Sweden threw down the gauntlet with an ambitious goal: to eliminate fossil fuels from electricity generation by 2040 within its borders, and has ramped up investment in solar, wind, energy storage, smart grids, and clean transport. And the best part? The Swedes are challenging everyone else to join them in a race to become the first 100% renewable country. Now that’s a competition where everyone wins! 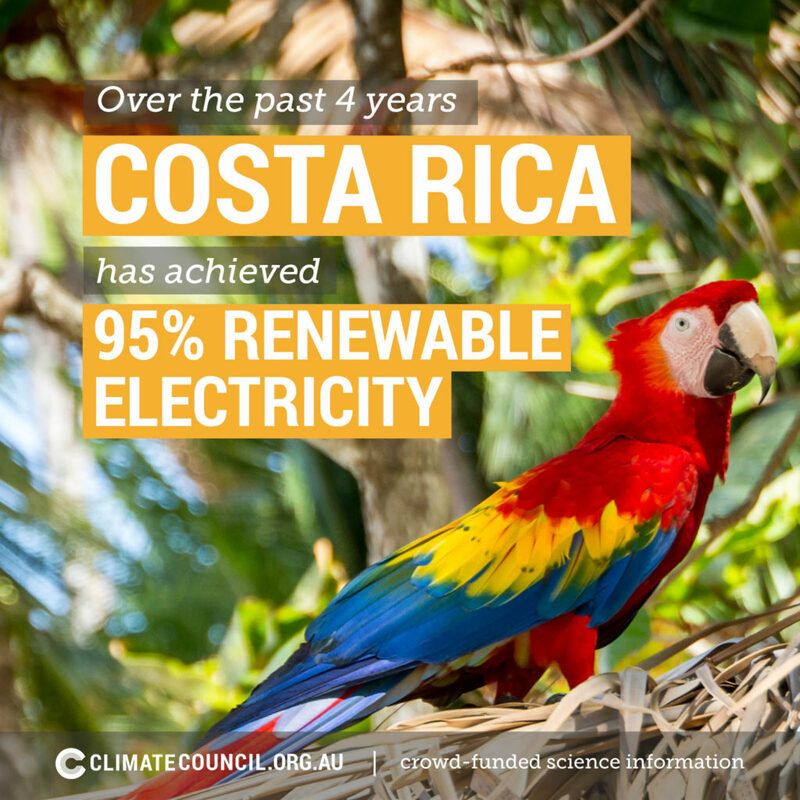 Thanks to its unique geography and commitment to to the environment, small but mighty Costa Rica has produced 95% of its electricity from hydro, geothermal, solar and wind over the past four years. Next on the horizon: Costa Rica aims to be entirely carbon-neutral by 2021. Nicaragua generated of its electricity from renewables in 2017. 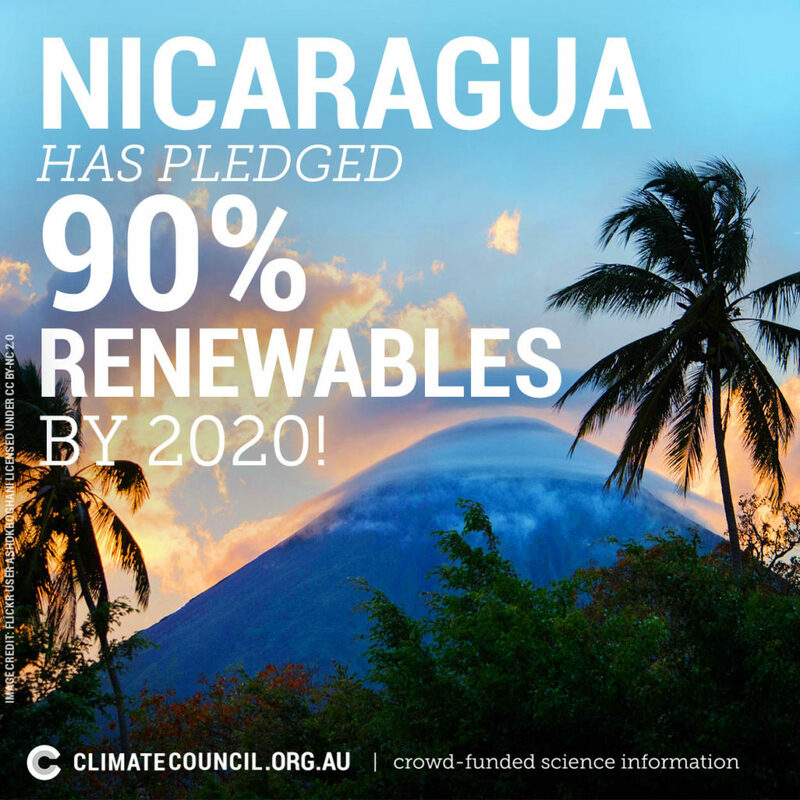 In 2012, Nicaragua invested the fifth-highest percentage worldwide of its GDP in developing renewable energy. Next on the to-do list: The country is aiming for 90% renewables by 2020, with the majority of electricity coming from wind, solar, and geothermal sources. Great Scot! 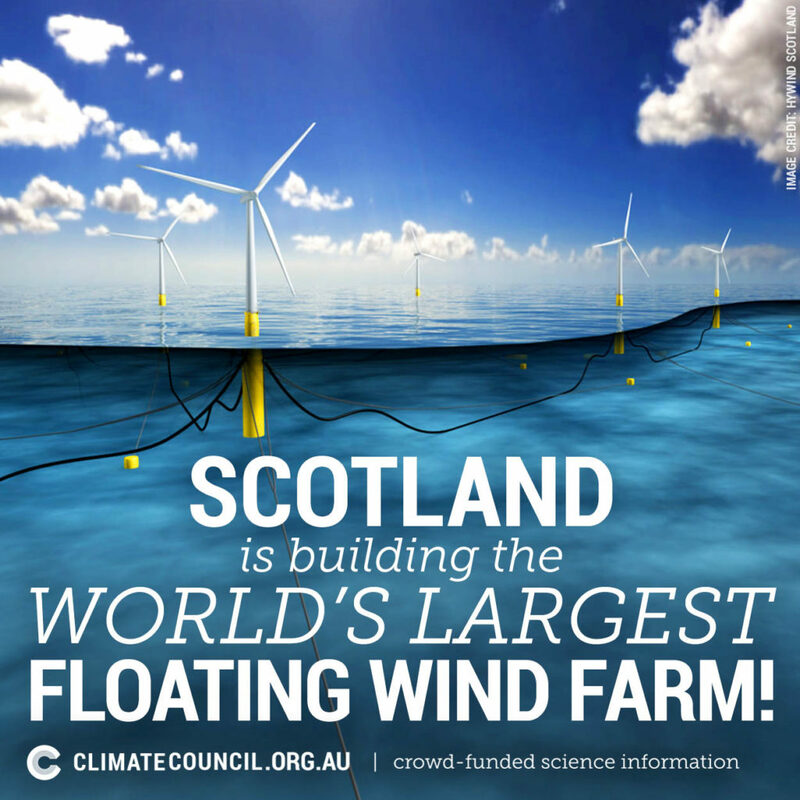 The answer to Scotland’s energy needs is blowing in the wind. In October, wind power generated 98% of Scotland’s electricity needs. 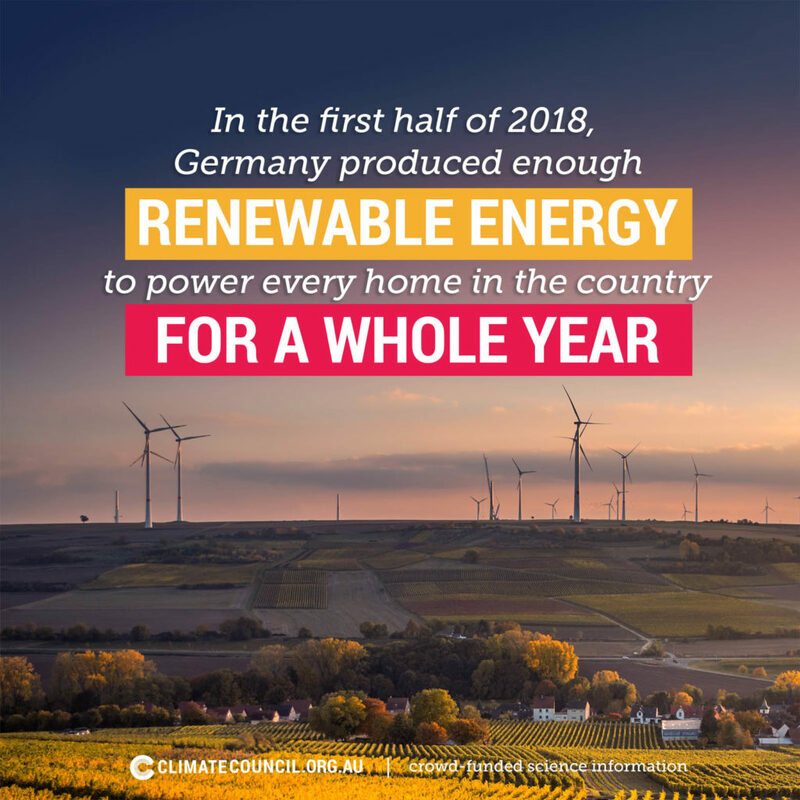 Germany is a world leader in renewable energy and in the first half of 2018 it produced enough electricity to power every household in the country for a year. The country has also set an ambitious target to get 65% of their electricity from renewables by 2030. For a relatively cloudy country of over 80 million people, Germany is looking forward to a seriously bright future with solar energy! Denmark gets over half of its electricity from wind and solar power and in 2017, 43% of its electricity consumption was from wind – a new world record! That’s the highest percentage of wind power ever achieved worldwide. The country aims to be 100% fossil-fuel-free by 2050. Wondering how the world’s largest carbon emitter can also be a leader in renewable energy? It may seem counter-intuitive, but in 2017 China had by far the largest amount of solar PV and wind capacity installed of any country – by a long shot. 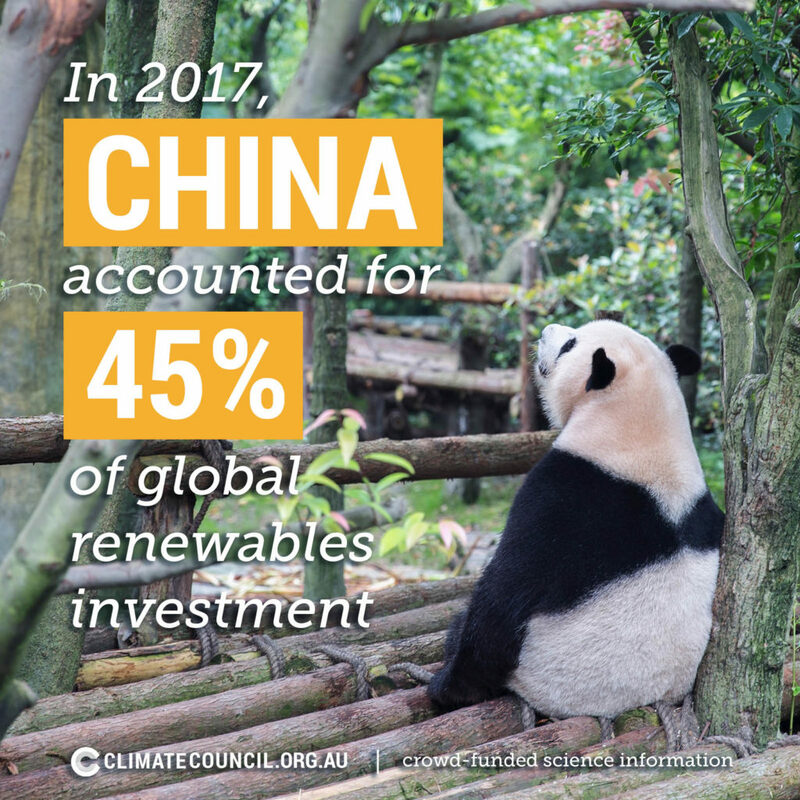 China has also committed to generating 35% of its electricity from renewables by 2030 and cleaning up its polluted air. With ample sun, Morocco decided to go big. Bigger than anyone else in the world, in fact. 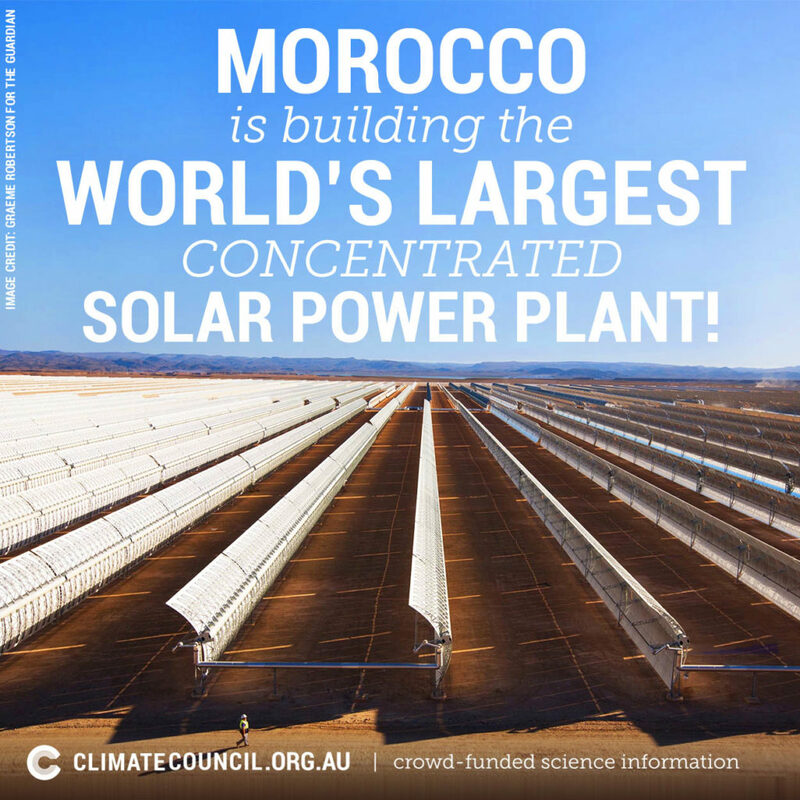 The largest concentrated solar plant earth is nearing completion in Morocco. With its accompanying wind and hydro plants, the mega-project is expected to provide half of Morocco’s electricity by 2020. 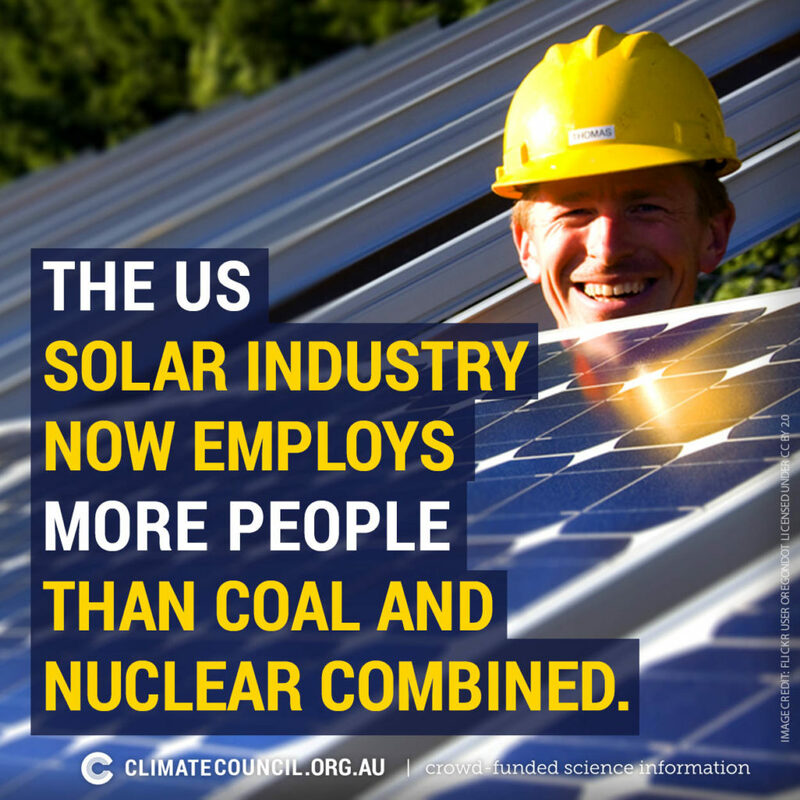 In the US, a new solar energy system was installed every two minutes and 30 seconds in 2014, earning the US fifth place on the installed solar PV capacity global rankings. America also has the second-highest installed wind energy capacity in the world after China. Kenya believe it? This country is looking to geothermal energy to power its future and reduce reliance on costly electricity imports. 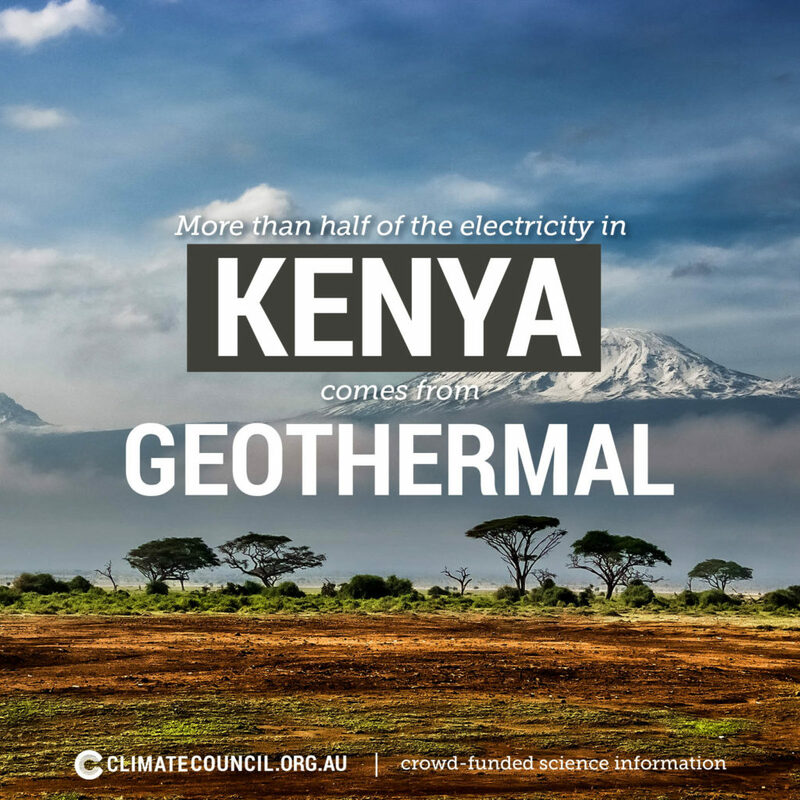 Kenya gets around half its electricity from geothermal– up from only 13% in 2010. Kenya’s also betting big on wind, with Africa’s largest wind farm (310 MW) connected to the grid in October and set to provide another 20% of the country’s installed electricity capacity. One common theme among all these success stories is that when leaders actively set ambitious goals for renewable energy generation and support them with investments, growth comes fast. The second lesson: there’s no one-size-fits-all solution to making the switch. Some countries, like Kenya, have ample geothermal and can ramp up fast. 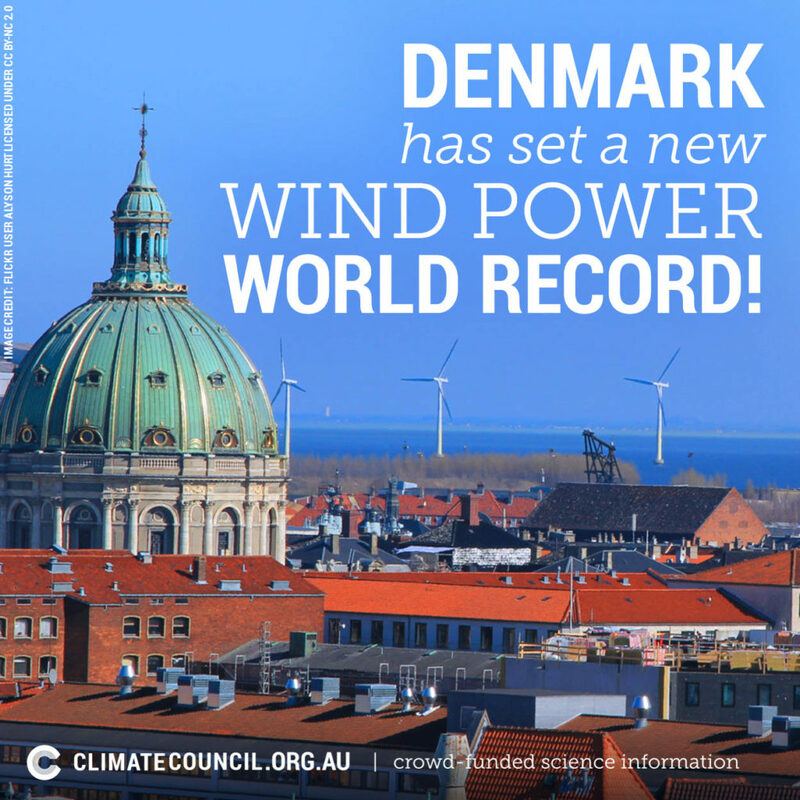 Others, like Denmark, have been steadily improving their wind power generation for over a decade. Still others, like Morocco, are betting big on solar while planning for backup from other renewables. You can read more on the Climate Reality Project website. *This article has been updated.